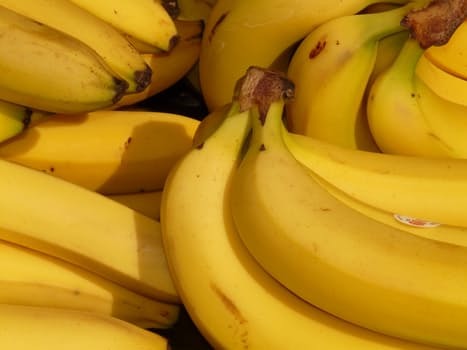 Banana is an amazing fruit which is loaded with some essential vitamins and nutrients that makes it an excellent fruit to make face masks to get glowing skin. Bananas are rich in antioxidants which work to protect our skin from free radicals that lead to premature aging. Bananas are rich in Vitamin A which works to get rid of dark spots and blemishes. It also helps in evening rough skin. 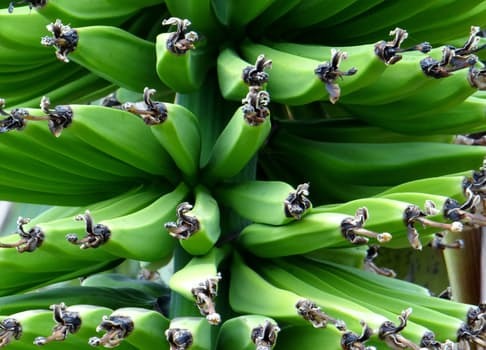 Vitamin B present in bananas delays the process of aging, lessens dryness, moisturizes and lightens your skin. 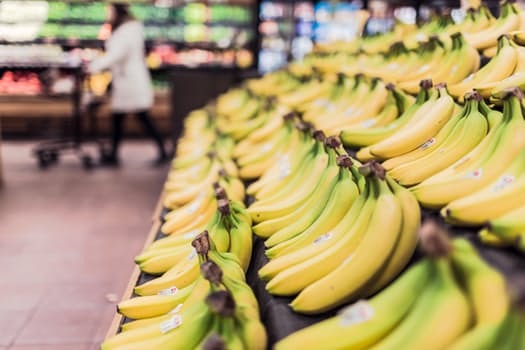 The Vitamin E content of bananas work to Protect our skin from free radical, it also boosts the skin’s resistance against UV rays, prevents and diminishes appearance of wrinkles. Bananas have a high amount of potassium which works to get rid of dry skin by moisturizing and hydrating skin cells. 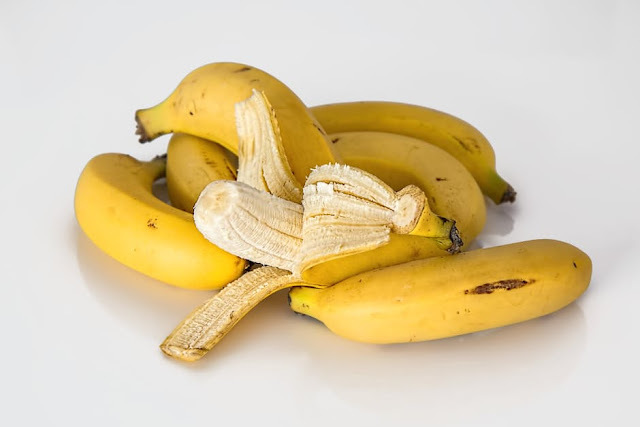 These amazing nutrients present in bananas makes for effective banana face masks which can help in fixing many skin problems like wrinkles, removing pimples, skin brightening and many more. 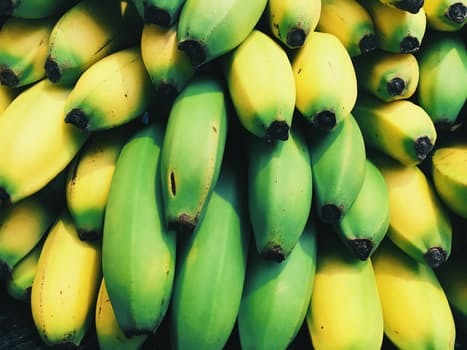 Banana is an amazing fruit that provides various benefits for your skin not only when you eat it but also when it’s used topically as a face mask. Read on to see how to make four wonderful banana face masks at home to get glowing, young and wrinkle free skin. 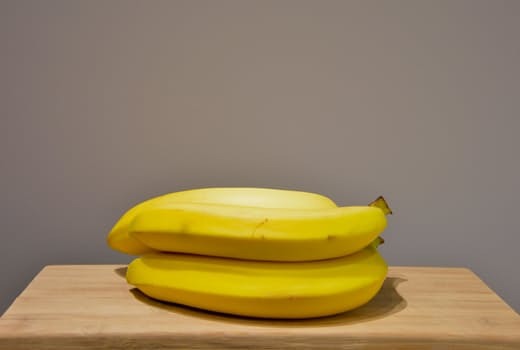 •To make this wonderful banana face mask just mash a ripe banana to make a thick paste. •Apply this banana paste on your face and skin and let this banana face pack sit on your face for about 15 minutes. •Now rinse your face with cold water. •After washing your face massage your skin with a few ice cubes. Use of this banana face mask is sure to make your skin glow and even out the rough skin. (i) This banana mask is very sticky, so while using it make sure to put your hair back using a headscarf or hair band to avoid getting your hair messed up with the mask. (ii) This face mask is a bit liquidy and it can drip down on your clothes, so make sure to wear an old clothes while applying this banana face mask. This natural Banana face mask can work wonders for removing dark spots, blemishes and brightening dull skin. This banana face pack has some powerful ingredients that hydrate, lighten and brighten your skin. This banana face pack includes honey which known for it’s antibacterial properties. It works to kill bacteria causing acne and pimples which can lead to dark spots. Honey also Contains skin lightening properties. This face pack also has Lemon Juice which is loaded with citric acid and works to lighten dark skin and evens out discoloration. It also has the power to get rid of dark spots, pimples and blemishes. •To make this banana face mask just take a ripe banana and mash it with a spoon to form a smooth paste. •To this paste add 1 tsp. of honey and 1 tsp. of lemon juice and mix it well. •Before you apply the face mask, wash your face with a mild soap and pat it dry. •Now apply this banana mask on your face and let it sit there for about 10-15 minutes and then wash your face with lukewarm water. •This face mask is sure to give your face an instant glow. (i) As this mask is quite sticky, make sure to pull back your hair with a head scarf or band to stop your hair from getting messed up with the mask. (ii) As this face mask can drip down onto your clothes, wear an old shirt while applying it. If you are suffering from acne and pimples then this amazing face mask is what you need to treat your acne and pimples naturally. This all natural chemical free banana face mask contains natural ingredients like banana, turmeric and baking soda which works to fight the bacteria causing acne / pimples, reduces blemishes and help in getting a glowing face. Turmeric and baking soda both works as an effective cleanser and exfoliant for the skin. This wonderful face mask contains baking soda which breaks down grime and dirt, removes excess oil and unclogs the skin pores. It’s an amazing natural deep cleanser to unclog skin pores. Another ingredient in this face mask is turmeric which has antibacterial properties that Kills bacteria on your face and prevents occurrence of pimples and acne. •To make this banana face mask to treat acne and pimples just take a ripe banana and mash it using the back of a spoon to forms smooth paste. •To this paste add 1/2 tsp. of baking soda and 1/2 tsp. of turmeric powder and mix it thoroughly. If the mixture turns out to be too thick then, add a little water to dilute it. •Before applying the face mask wash your face with a mild soap and pat it dry. •Now apply the banana face mask on your face using a makeup brush. •Let the mask be on your face for about 10-15 minutes and then rinse your face with lukewarm water. •After this treatment apply a moisturizer to moisturize your skin. (i) Only use this face mask to a maximum of 2-3 times a week only, as baking soda is a natural exfoliator and over exfoliation of the skin is not good. (ii) When you apply this face mask massage your face with ice cubes wrapped in a soft towel. Applying the ice cube helps to close opened skin pores and stops dirt and pollution from making their way into your skin pores. You can also alternatively use cold water to wash your face. Bananas are loaded with nutrients which work to reduce the signs of aging like wrinkles, and makes your skin look younger and glowing. To enhance this face masks anti aging properties, we will add two more natural ingredients which do the same. The first one being Thick Yogurt which has the property to reduce appearance of large pores, which make your skin look aged. It helps to tighten skin pores. Orange Juice is the second ingredient which is loaded with Vitamin C that works to revitalize skin cells and reduce signs of aging like fine lines and wrinkles. •To make this amazing banana face mask to fight wrinkles, just take a ripe banana and mash it with the back of a spoon to make a smooth lump free paste. •To this paste add 1 tsp. of thick yogurt and 1 tsp. of orange juice and mix everything evenly. •Apply this mask on your face and massage it properly on your face for a minute. •Now apply a second thick coat on your face and let it be there for 15 minutes. •Wash your face with cold water and apply a good moisturizer to moisturize your skin. This face mask is sure to give you a glowing and supple skin. (i) When you apply this natural face mask, make sure you stand over your sink or in bathroom to avoid the mask from dirting your floor. (ii) Once the mask has dried up, this mask may get stuck in some areas of the skin. Do not use force to pull it from your skin. Gently massage in such areas with water to loosen the mask, so that it comes out easily. (iii) You can use 1/2 tsp. of olive oil to this mask to get moisturizing properties from this mask.